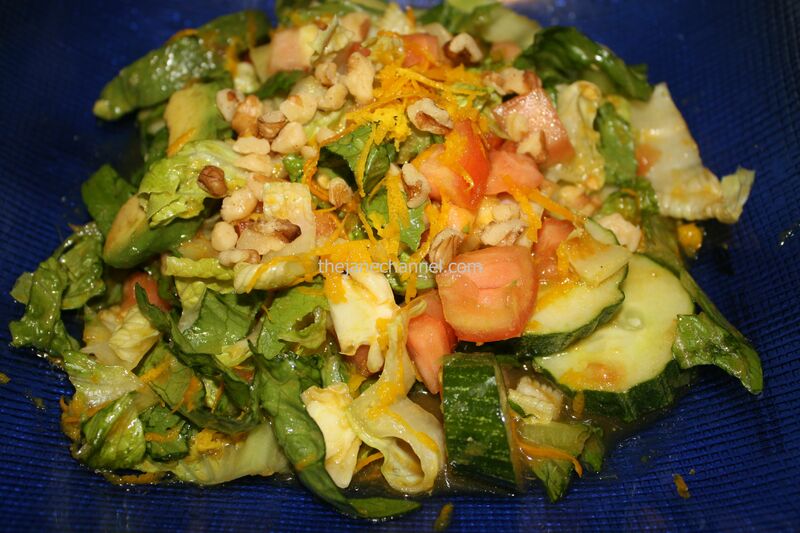 How about a great summer salad recipe? With the season’s freshest veggies and tangy orange vinaigrette, this is one refreshing side dish or meal on a hot day. In a blender, combine the orange juice, balsamic vinegar, honey, garlic, salt, and pepper. Blend until smooth. With the blender running, add the olive oil in a steady stream until combined. To serve, place lettuce, avocado, tomato, cucumber in a large bowl. Pour the vinaigrette to coat the salad. Sprinkle walnuts and orange zest on top. Source: The orange vinaigrette is a recipe adapted from Food Network.